With 2016 now behind us, FinTech can continue to mature and we can start to understand how the impacts of global political events will unravel. With leading FinTech companies commercialising their services at pace, both independently and in collaboration with incumbents, we see the change becoming real. 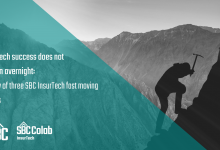 While a few years ago FinTech companies were seen as a threat to incumbents, we are now seeing more focus on collaboration. Innovation in AI, big data and blockchain are opening up new avenues of growth and focus on specific customer pain points. 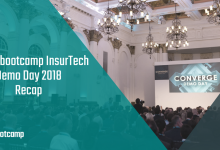 We are happy to launch the annual Startupbootcamp FinTech London and PwC collaborative FinTech trend report: ‘The start-up view: a year in FinTech’. Last year I was fortunate enough to have the opportunity to spend 6 months working at Startupbootcamp FinTech as an executive in residence on a secondment from PwC. I started my time at Startupbootcamp in the heat of selection days, where we invited 20 fintech companies out of 400 around the world to come to London to meet mentors, investors and the partners of the programme (including PwC). We chose 10 best fintech companies who joined Startupbootcamp programme for three months. From the beginning of the programme I began what can only be described as the most intense, enjoyable and informative three months of my life. Working day in day out with the FinTech companies, understanding the problems they want to solve, their motivations for being entrepreneurs and being exposed to the wider FinTech ecosystem. On top of this I had the opportunity to analyse the FinTech ecosystem through exploring both the Startupbootcamp application data and the total funding rounds for UK FinTech companies during 2016 to understand where entrepreneurs and investors saw opportunities in FinTech. 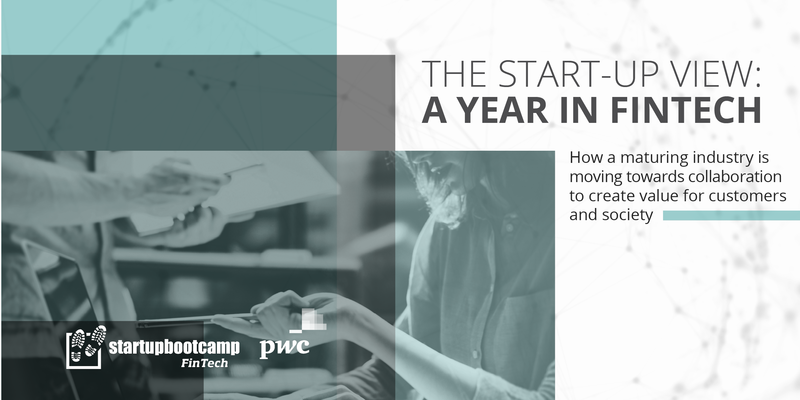 Through this we have put together our latest report “The Start-Up View: A year in FinTech” which explores the perspectives of both entrepreneurs and incumbent financial services firms on where they see a maturing FinTech sector moving. The report discusses; the current FinTech landscape and the implications of Brexit, the top trends in FinTech from 2016, the progress made in corporate collaboration and forward looking predictions for 2017. 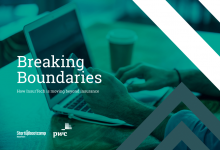 The key findings from the report are based on the qualitative intelligence and experience gleaned from working with Startupbootcamp FinTech over the past 12 months, as well as quantitative insights from the programmes’ application data and UK funding data. I have outlined below some of the important takeaways. 1. Despite Brexit, the UK should remain a global FinTech leader. 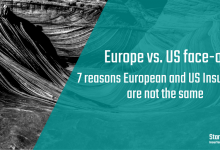 Economic and political uncertainty poses a threat, but the European FinTech sector is in a healthy position, led by the UK. Nine of the top 20 UK FinTech deals were completed post-Brexit, with a total investment of $368million. Regulators across Europe are following the UK’s example as they seek to foster an agile environment conductive to innovation; the UK, meanwhile, has built FinTech bridges with a growing number of international markets and continues to attract investors from territories such as Canada and Japan. UK based start-ups made up 34% of all applications to Startupbootcamp in 2016, up from 22% the year before, demonstrating the constant growth of innovation and wealth of talent in the UK. Find out what FinTech companies say about the impact of Brexit here. 2. More start-ups want to work with existing financial services businesses. Growing understanding of each other’s cultures and working practices has seen FinTech companies and incumbents work together much more frequently. 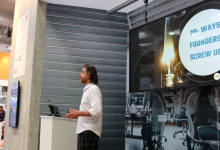 Start-ups offering a business-to-business proposition accounted for 56% of applications to Startupbootcamp last year and for 71% of UK funding; their focus is very often on improving incumbent’s internal operating processes. 3. The most successful artificial intelligence and machine learning advances put the customer at the centre. Start-ups focusing on smarter, faster machines made up 16% of all start-ups who applied to Startupbootcamp FinTech London program in 2016, many of these were focused on Artificial Intelligence (AI) and machine learning. FinTech companies pioneering these technologies have moved towards a design-led approach. The increasing volume of open source material available to start-ups has enabled them to focus on technological advances from the perspective of specific customer problems. 4. Serving the unserved has become a key priority for start-ups globally. FinTech companies are aware and concerned about the unfairness and opportunities that arise from a huge number of people that are not served by the financial services sector. 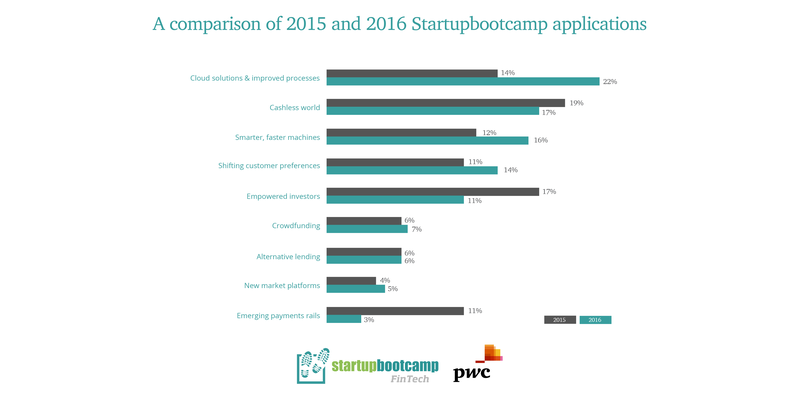 More than one in ten applications to Startupbootcamp FinTech 2016 (12%) came from start-ups aiming to tackle issues of financial inclusion and wellbeing. Traditionally a focus in developing countries, UK and European FinTech companies are increasingly engaged with these issues too. but these are only the first steps as there is more work to be done. Much progress has been made as FinTech companies and incumbents have got to know each other better, but the search for the perfect collaboration model continues. Until now most projects end on proof-of-concept or pilot studies. The next phase of growth is to turn more of these into real business. Too many corporates are struggling to measure success in FinTech. Find out what FinTech companies say about corporate collaboration here. 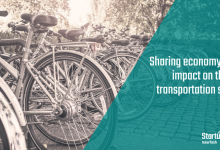 Don’t forget to share your findings!